I've been getting a lot better at locating Messier objects, particularly when they have a good anchor star or set of pointer stars to help guide me. I'm using a ball and socket tripod head, so I'm manually slewing my camera to locate the objects with no indication of location or angle. First up, M48 an open cluster in Hydra (although it's really much closer to Monoceros). 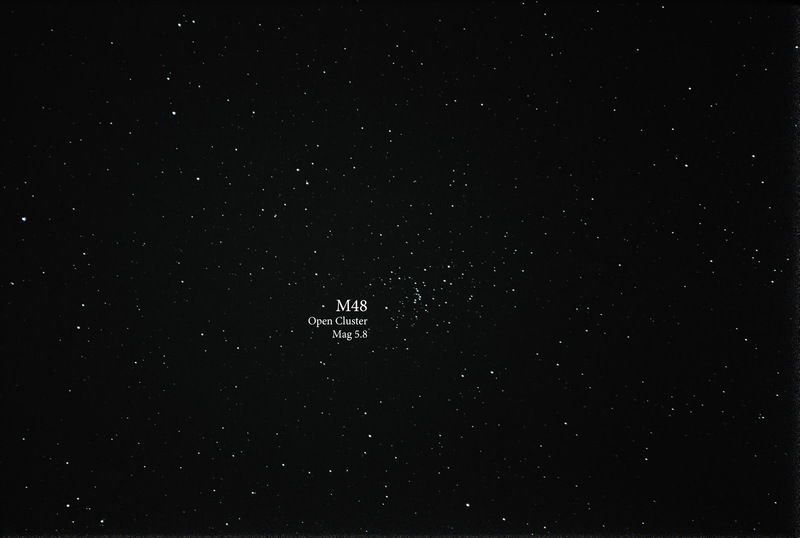 To locate this cluster, I used the constellation Canis Minor as pointer stars, with M48 sitting on the Procyon side (left). 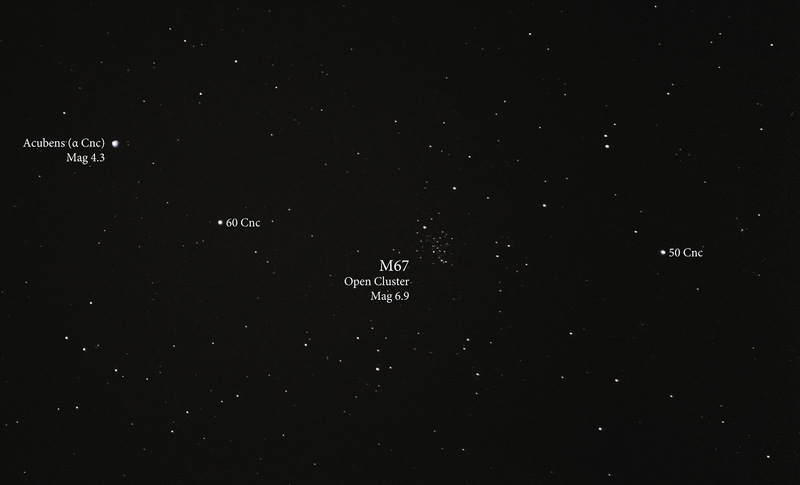 Next up, M67 is an open cluster in the bottom of Cancer. This one is a piece of cake to find because it was within the same frame as Alpha Cancri at 300mm zoom. All I had to do was use Alpha Cancri as an anchor star and M67 was right there. Woohoo! These two objects not only complete my March observing list, but they bring my Messier Object grand total to 49 out of 110. Keep chipping away!